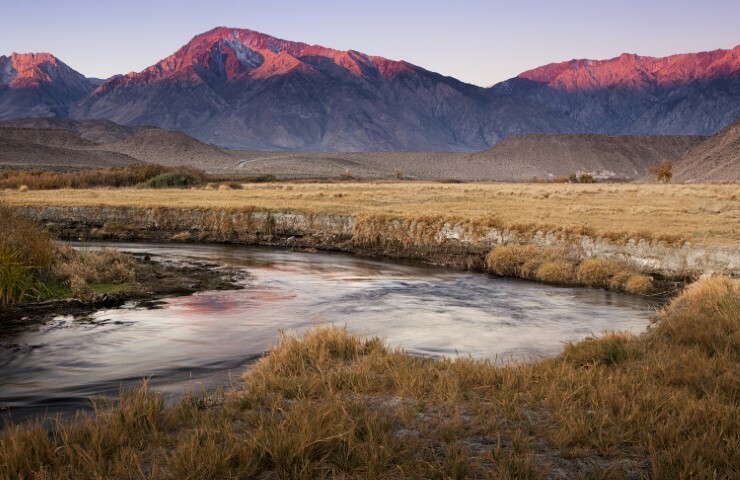 California is known for many things, but the mountains, lake and rivers are something you will want to take advantage of exploring at some point. 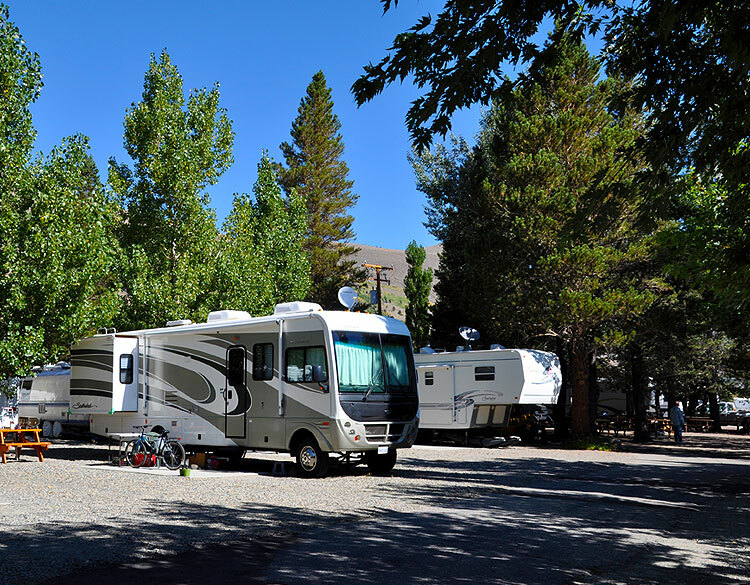 Adventure in Camping has 7 amazing RV Camping sites that make visiting some of the most beautiful areas of the Easter Sierras and Mammoth Lakes an enjoyable time with friends and family. Each of the locations is a little different from the next, and offers both summer and winter activities. Mammoth Lakes: The Mammoth Lakes area offers a variety of year round activities. In the summer the lake provides a great base for activities like fishing, viewing waterfalls, biking, hiking and backpacking. In the winter you can shred the slopes while skiing, snowboarding, cross country skiing, or slow down the pace with some snowshoeing. June Lake Loop: June Lake is a community in the heart of California’s eastern Sierra Nevada region. World-class trout fishing, hiking, climbing, swimming, waterskiing, wakeboarding, paddling and sailing can help pass your time during the summer days. More of a cold weather activities enthusiast? The local mountains make it easy to go skiing, snowboarding, and snowshoeing or snowmobiling in the winter months. Crowley Lake, Convict Lake & Rock Creek: These Lake campsites provide spectacular scenery, as well as fishing, hiking, photography and wildlife viewing. 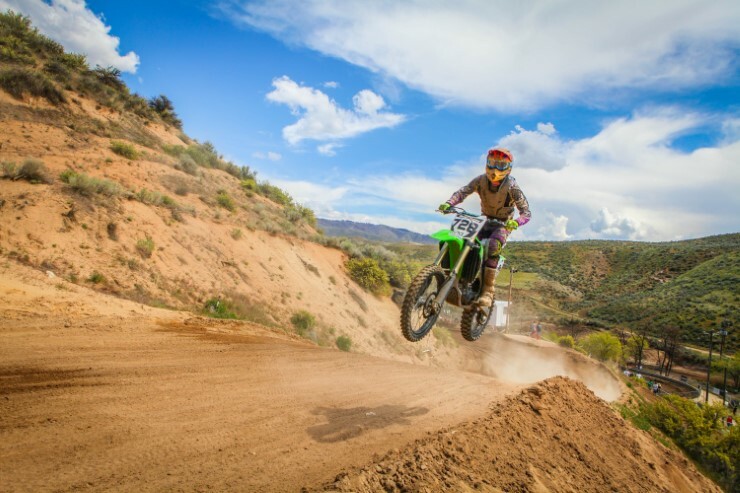 If you are a trail-riding enthusiasts, there are many hiking, off-road vehicle and horse-riding trails close by, as well as a Pack Station to help guide you into the wilderness areas above Big Meadows. Bishop Area: Golfer pack up your clubs and enjoy a round of golf at Bishops Country Club while taking in the breathtaking scenery around you. Bishops offers many activities such as hiking, fishing, lake activities and rock climbing. If you want to go into the quaint town there is shopping, many restaurants and even the famous Mule Days celebration. Crestview & Deadman Area: Calling all geologists! This is a great area to explore the Obsidian Dome areas. This area is high in elevation, a drier climate and you must be prepared to bring your own drinking water. If you like to really “rough it” this is the spot for you. Lee Vining Area: With campsites close to Mono Lake, water activities are a fun way to cool off on a hot summer day. Being the Eastern entrance to Yosemite, you can take day trips to Mammoth, June Lake, or even visit the historic Bodie Ghost Town. 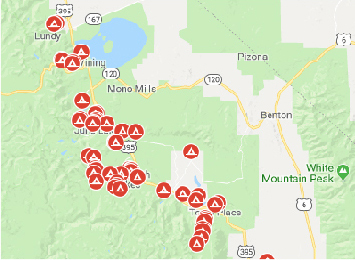 Devil’s Postpile Area & Red’s Meadow: These campsites provides short hikes to Devils Postpile or longer and more challenging hikes to Rainbow Falls. Go visit the General Store in town and you can arrange for a short horseback ride or a back country trip. California has a little of something for everyone. Whether you want to take an RV out in the winter or summer there is a place for you with all the activities that your adventuring heart could desire.